From the Office of National Drug Control Policy: Drug overdoses are a major cause of preventable death in the United States. According to the Centers for Disease Control and Prevention (CDC), approximately 100 Americans died from overdose every day in 2010. 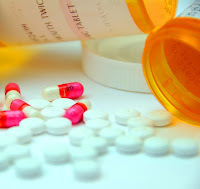 Prescription drugs were involved in more than half of the 38,300 overdose deaths that year, and opioid pain relievers were involved in over 16,600 of these deaths. Drug overdose deaths even outnumbered deaths from gunshot wounds or motor vehicle crashes. The Obama Administration is implementing a science-based plan that works to reduce drug use and its consequences while pursuing drug policy reform. The 2013 National Drug Control Strategy, released in April, outlines innovative policies and programs and recognizes that drug use is not just a criminal justice issue, but a major public health concern. The Strategy also recognizes the importance of reducing both the prevalence of drug use and its consequences, including overdose. In response to this public health emergency, the Obama Administration has established a goal to reduce drug-induced deaths by 15 percent by 2015. To meet this goal, the Administration is seeking to address the full range of individuals at risk of overdose and to identify the diverse settings in which education and intervention can occur. Preventing drug use before it t begins – particularly among young people – remains the most cost-effective way to reduce drug use and its consequences in America. However, in addition to primary prevention strategies, the Obama Administration is working with medical professionals who prescribe opioid analgesics to manage pain to ensure they are properly trained.In 2012, the Office of National Drug Control Policy (ONDCP), in partnership with the National Institute on Drug Abuse (NIDA), made available free Continuing Medical Education courses for medical professionals on evidence-based practices regarding the proper use of opioid analgesics to manage pain. As of August 2013, almost 60,000 medical professionals had taken these training courses. Additionally, the Substance Abuse and Mental Health Services Administration (SAMHSA) today is releasing an Opioid Overdose Toolkit aimed at reducing the number of deaths resulting from opioid overdose through education for clinicians, patients, communities, first responders, overdose survivors, and family members. The toolkit also includes resources for communities and organizations involved in protecting public health and safety. Effective treatment of substance use disorders – including medication-assisted treatment – can reduce drug use and, therefore, the risk of overdose and help overdose survivors attain a healthier life. To expand access to treatment, the President’s National Drug Control Strategy details actions in support of the Affordable Care Act (ACA), which will create one of the largest expansions of mental health and substance use disorder coverage in a generation. The ACA helps end discrimination against people with substance use disorders by including a substance abuse treatment benefit alongside treatment benefits for other chronic diseases.In support of this effort, the President has requested an increase of $1.4 billion in treatment funding for FY 2014 from Congress – the largest percentage increase in more than two decades. The Obama Administration supports the use of naloxone and is taking steps to educate the public, law enforcement officials, healthcare providers, and others about the role this drug can play in saving lives. As a result, ONDCP, the CDC, and SAMHSA are working to identify and address gaps in training, access, or use of naloxone by first responders. Further, ONDCP and its Federal partners are carefully monitoring the public health and safety impact of relevant policy changes, such as laws granting immunity from prosecution for people assisting during an overdose, either with a reversal or by obtaining aid.